Description: Sierra Pacific Crafts Decor has products ready to personalize, and create one of a kind items. 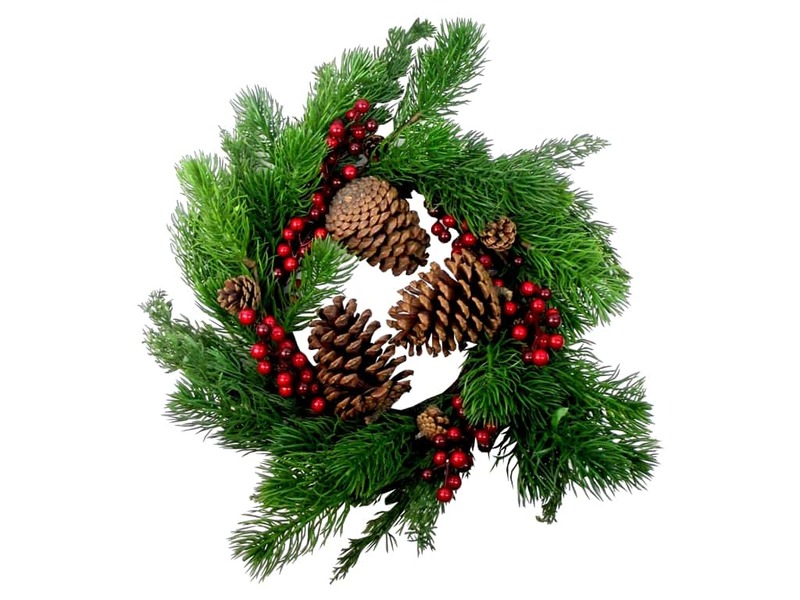 Wreath Spruce with Pinecones & Berries Green/Red- Base wreath is a 10 in. grapevine. Contains sprigs of duo-colored red berries, two types of pine and assorted sizes of pinecones.